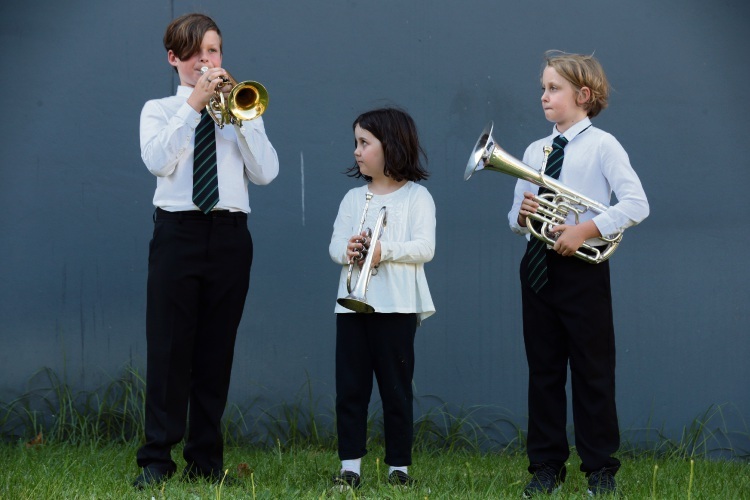 BUDDING brass musicians who live or go to school in the City of Wanneroo can take part in free brass band workshops these school holidays. The Challenge Brass Band workshops are offered to school-aged children and will run over three Saturdays from April 14-28. Run by Banksia Grove resident Ricky Wileman, in partnership with the City of Wanneroo, the Brass Class workshops have been designed to give students the experience of being part of a community band without having to join or become a member. Mr Wileman said the band was a path for people to continue their musical ambitions in the same way that amateur sports gave people the opportunity to pursue their sporting aspirations. “The inspiration for the Brass Class came from some research into the amazing music programs that are run in schools and the large numbers of young people that are learning to play an instrument,” he said. “In the 2012 Children’s Participation in Cultural and Leisure Activities Survey it showed that 16 per cent (62,400) of children aged 5-14 of in WA were playing a musical instrument. The father-of-three, who has 25 years’ experience playing the cornet, said the workshops would fill a gap in music sessions for children to pursue their interests outside of school. The workshops are tied in with an autumn concert where the senior band will perform at the Wanneroo Community Centre on May 5. For more information, email challengebrassband@gmail.com or call Mr Wileman on 0407 246 492.